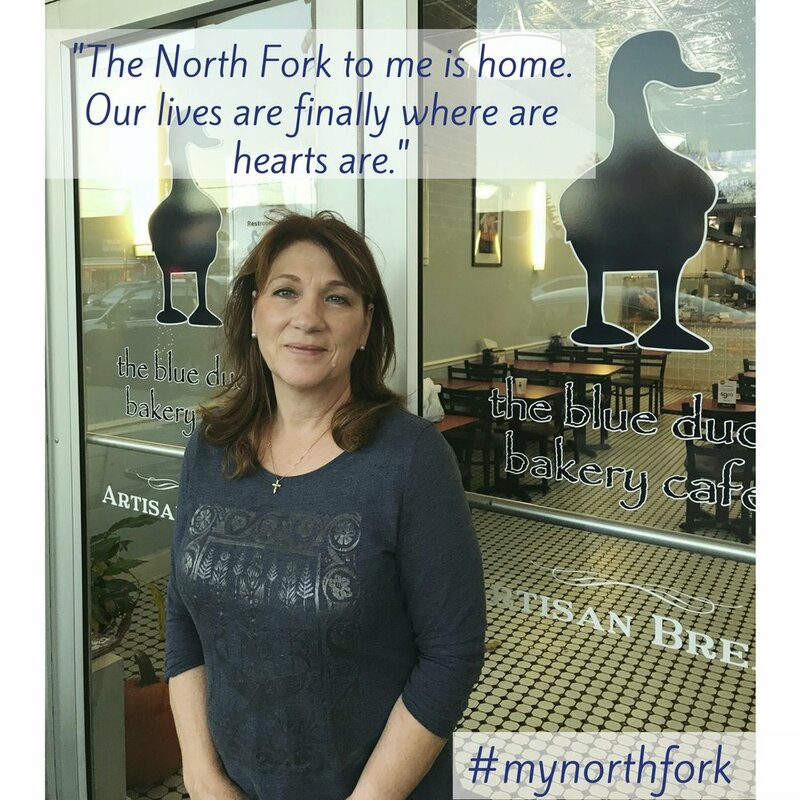 What does the North Fork mean to YOU? 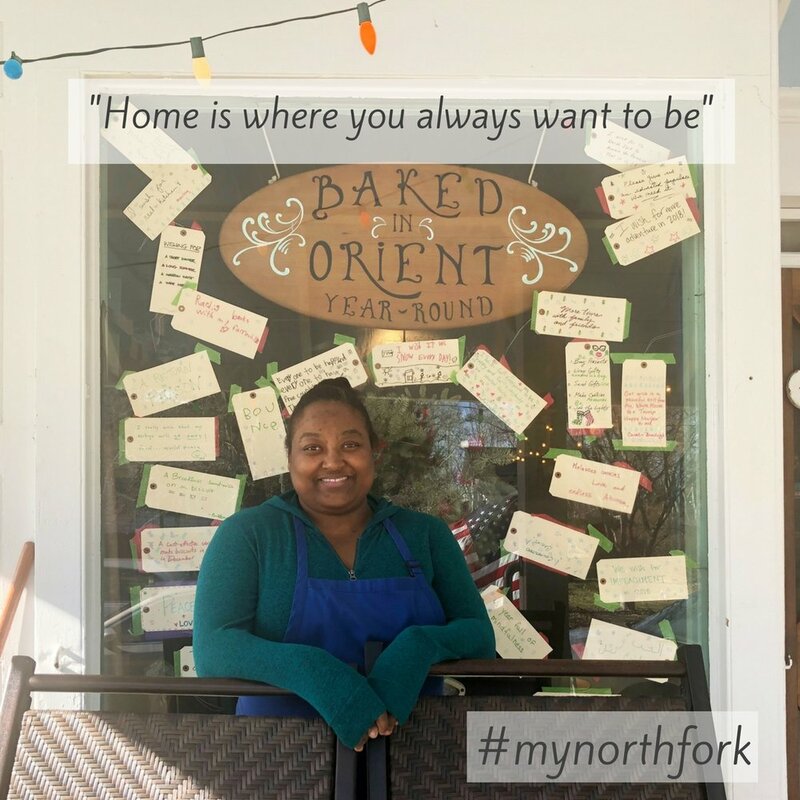 In a weekly series, our team from The North Fork Box will gather thoughts from lovers of the North Fork on this special place. 12/15/2017 - “I have been living on the North Fork for the past 5 years. I was first introduced to the “east end” in 2005 when I was still dating my husband. That’s when I fell in love with this charming community and began dreaming of living here one day. Now I get to enjoy all the North Fork has to offer! I love spending summer afternoons at the beach or sometimes, just riding my bike around the neighborhood. One of my favorite thigs to do is to shop for local produce. We have so many great resources available to us in our community. It is always fun to visit all the different farm stands as well as the local shops and restaurants. "The North Fork has a strong literary community. Many people who work in the publishing world have homes out here or are frequent visitors. They are very supportive of independent bookstores and great to discuss what's going to be the next hit book. In true North Fork spirit, there are a lot of DIY writers who self-publish their books. Whether as a hobby, passion, or career, the local community has produced books on poetry, cooking, history, photography, memoir, fiction, and even some coloring books. I try to support them as well by carrying their books and hosting an occasional event. An important part of owning a bookstore is getting to know the customers. I want to be a part of their experience by making them feel welcome and letting them know how much I value their patronage. I love when I recommend a book to someone and they stop by to let me know they loved it. It is endlessly rewarding and motivating. 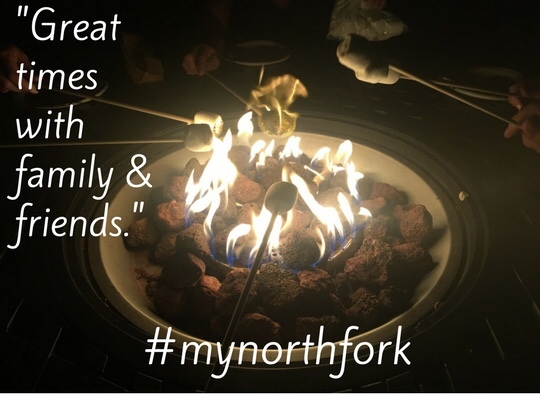 Developing friendships with many of the wonderful people out here has absolutely been one of my favorite facets of owning a business and just being a part of the North Fork community. 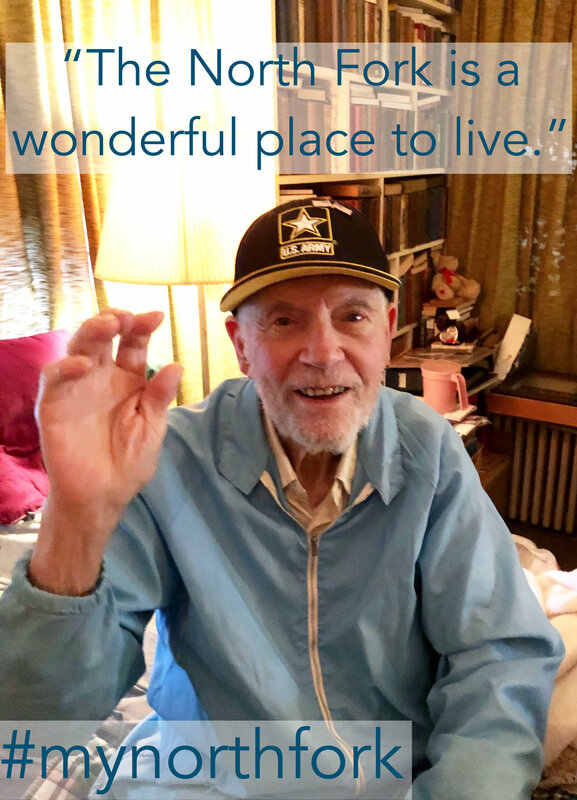 Reginald Peterson - a Greenport native - served in the Army between 1943 and 1946. He recounts the horrific events of WWII in a personal essay titled “The True Life Army Experience of PFC Reginald W. Peterson.” Among stories from the frontlines, he shares his immediate thought upon finding 4 dead civilians - one of them a child: “You just wonder if it was worth fighting for. You could not see the sense in it.”Once the war was over, he was brought safely back to American soil on the US Santa Maria. The first thing he remembers seeing were his parents. In an effort to rebuild his life here in the North Fork, he began working at a farm. Throughout the years, he worked at an oyster boat, a shipyard, carpentry companies and on his own before retiring. 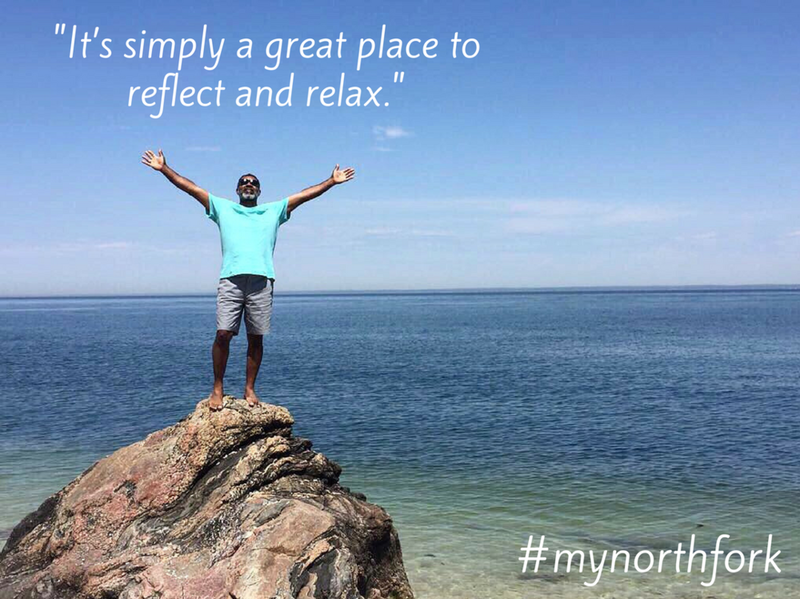 He loves the North Fork for all the surrounding water and fishing opportunities. Reginald is an avid collector - including bottles, golf balls, and baseball cards. Speaking of baseball, in his earlier years, he played baseball, basketball, ran track, was a little league coach and paints. He lives with his wonderful wife of 67 years in East Marion. "The North Fork is where we go to unwind and relax - from sailing on the Peconic Bay to enjoying a glass of wine at one of our favorite wineries. My children always talk about camping in Greenport at the KOA (Kampgrounds of America), and the great beaches we found while exploring the area. Their favorite place was the Horton Lighthouse. Another must-stop along the way is the Candyman in Orient, to get the best marzipan. We have so many favorite places! There is a new adventure everywhere you turn: Pumpkin picking, farm stands, festivals, breweries and beautiful destinations like the Jedediah Hawkins Inn"
"As a city girl, I am so appreciative of the summers I spent in bare feet, running out of our modest cottage to start another day of simple adventure with my sisters and friends. From playing make-believe on the jetty and catching minnows in the inlet, the magic of the North Fork has remained in my veins. I recently returned from a reunion with friends I haven’t seen in 40 years. Today, like yesterday, the driftwood and white rocks remind me that the North Fork is one of the greatest regions on earth."